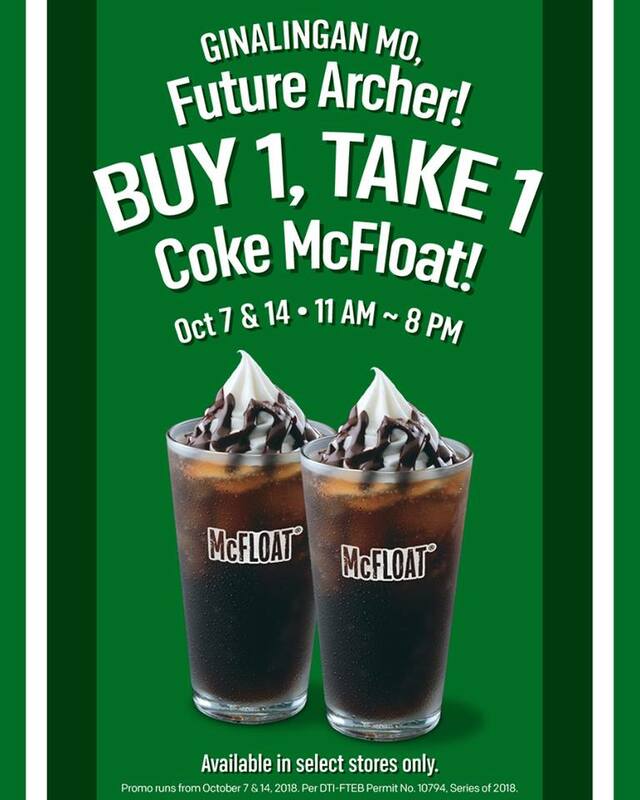 Here's a treat to all future Archers, and Mcfloat fans! 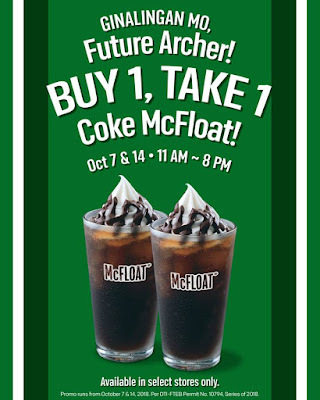 Enjoy Buy1 Take1 Coke McFloat from 11AM to 8PM on October 7, 2018, and October 14, 2018 at McDonald's stores in Taft (near LaSalle), and Quirino! Promo is available in select stores only via front counter, take-out counter, dessert center, and drive-thru. Promo is not available via McDelivery.